Children love to explore their surroundings by tasting and sucking things. 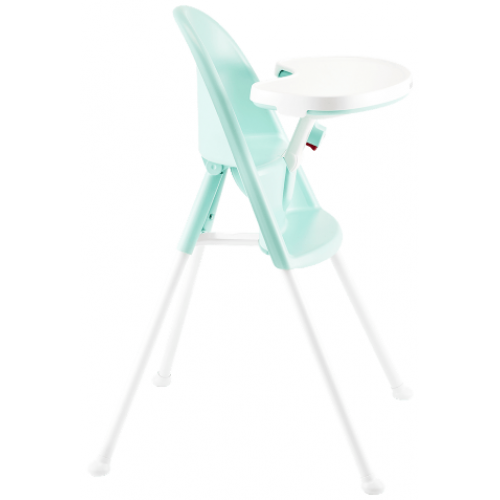 When you buy a high chair from BABYBJÖRN, you can be sure that the materials continually undergo rigorous testing for Bisphenol A (BPA) and other harmful substances. So you can safely allow your child to eat any food that touches the tray. The plastic we use is certified food safe. We recommend that you start using the high chair once your child can sit up on their own, from six months to approximately three years. Maximum height 95 cm. The high chair complies with the EN14988:2006 safety standard.